HÀ NỘI — Defending champions Hồ Chí Minh City defeated Tràng An Ninh Bình 3-0 in the opening game of the Hoa Lư Volleyball Cup, held Sunday in the northern province of Ninh Bình. 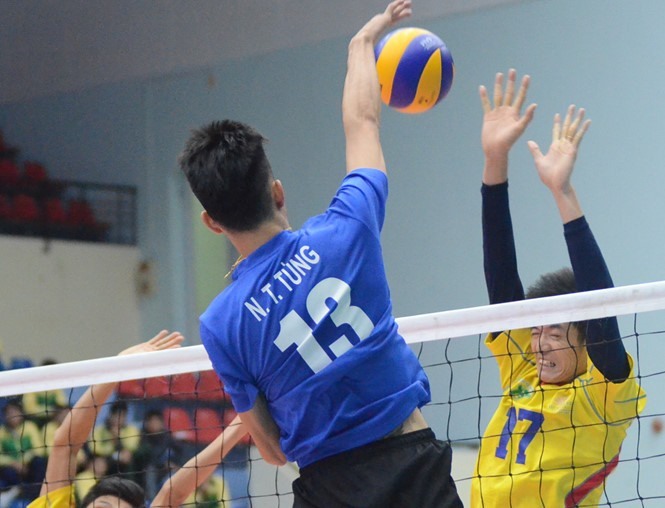 From the start the two teams put out their strongest players, including setter Đinh Văn Tú and hitter Nguyễn Thanh Hải from Hồ Chí Minh City and setter Giang Văn Đức and libero Nguyễn Thanh Tùng from host Ninh Bình. Thai-Vietnamese player Nguyễn Văn Đa and hitter Nguyễn Hoàng Thương did not play, but with the home ground advantage Ninh Bình started smoothly thanks to the play of Quang Khơi, Thanh Tùng and Văn Sanh. The host won the first round 25-20. In the second set, Ninh Bình continued to lead until a series of mistakes made them lose confidence. Hồ Chí Minh won the second and third sets 25-21 and 25-19, topping Group B.